Some fraudulent tax preparers lure taxpayers with street corner signs or flyers and promise large refunds, he said. Connecticut's top tax official is warning taxpayers about scams by people who pose as tax preparers and promise large refunds. Kevin Sullivan, commissioner of the Department of Revenue Services, said taxpayers should carefully scrutinize their tax preparer. Taxpayers are asked to provide personal and financial information that is used to file a false claim. Sullivan said a fraudulent refund is often deposited into the phony tax preparer's bank account and the preparer deducts a large fee before giving the refund to the taxpayer. 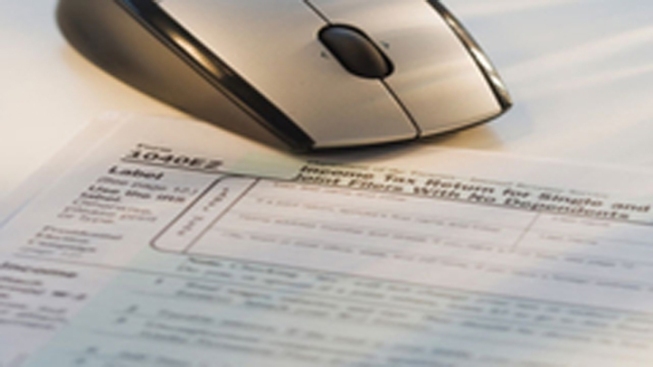 Refunds are typically sent to taxpayers who pay a fee to the preparer. Sullivan said the scheme mainly targets low-income and non-English-speaking people who may not be required to file tax returns.